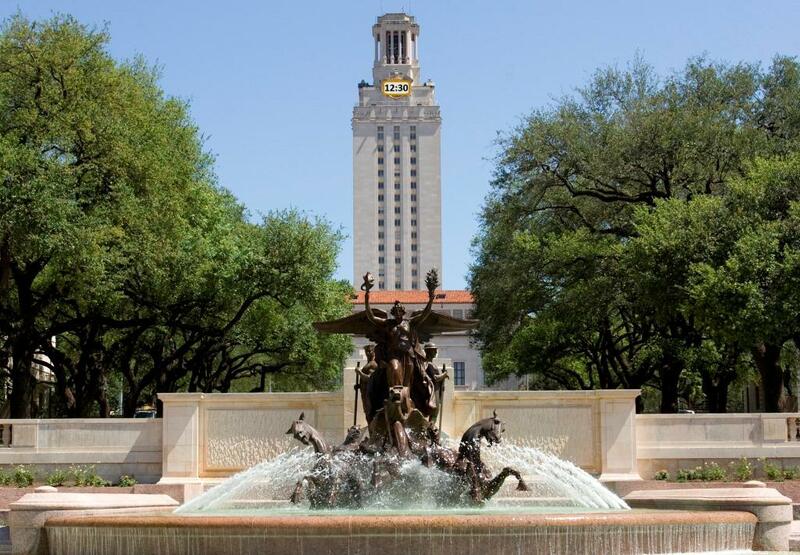 These days, the University of Texas campus is undergoing a serious transformation. The Dell Medical School is entering its final phase of construction, a 2,000 space parking garage is rising just west of the UFCU Disch-Falk Baseball Stadium, a new 12-court Texas Tennis Center is under construction east of Interstate 35 – where the old UT Press building once stood – and the long-planned pedestrian renovation to Speedway Street is underway. Now, campus planners have released details of another change, one that’s likely to be controversial: modernizing the 80-year old UT Tower clock for a digital display. 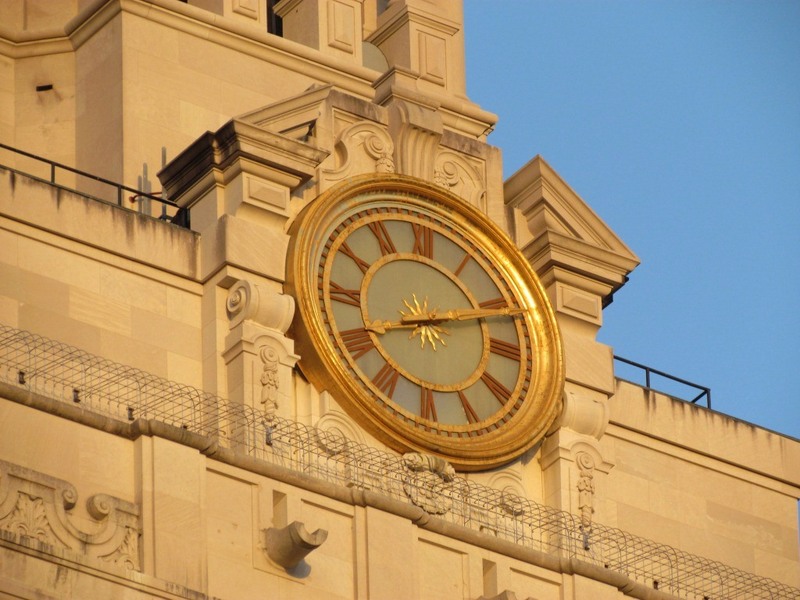 Installed in 1936 when the Main Building and its iconic Tower were under construction, each of the four faces of the clock are 12-feet in diameter, with the rims, numbers, and clock hands gilded with gold leaf. The white, translucent face is back-lit for nighttime viewing. But when viewed in the bright Texas sunshine or lit at night, there have always been complaints about reading the time, as the location of clock hands isn’t always easy to see. University officials hope to solve the problem with a digital display. 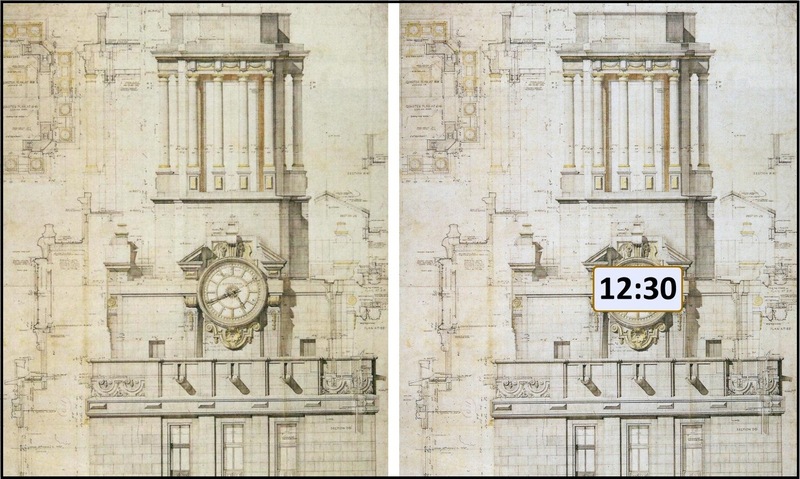 The 20-by-8 foot displays would be installed over the existing clock faces and given gold-colored borders to best harmonize with the Tower’s architecture. Easily visible during the day and brightly lit at night, campus planners feel the clock will be easily seen and a vast improvement over the original. Above: A digital display will be easier to view from more of the campus. Click on an image for a larger version. Such a drastic change to the UT Tower, of course, will likely be controversial. Historical concerns have already been raised, and less-than-serious comments on whether the time and temperature might be displayed are already making their way across campus. A completion date has not yet been announced, but full details about the Tower clock modernization project can be found here. 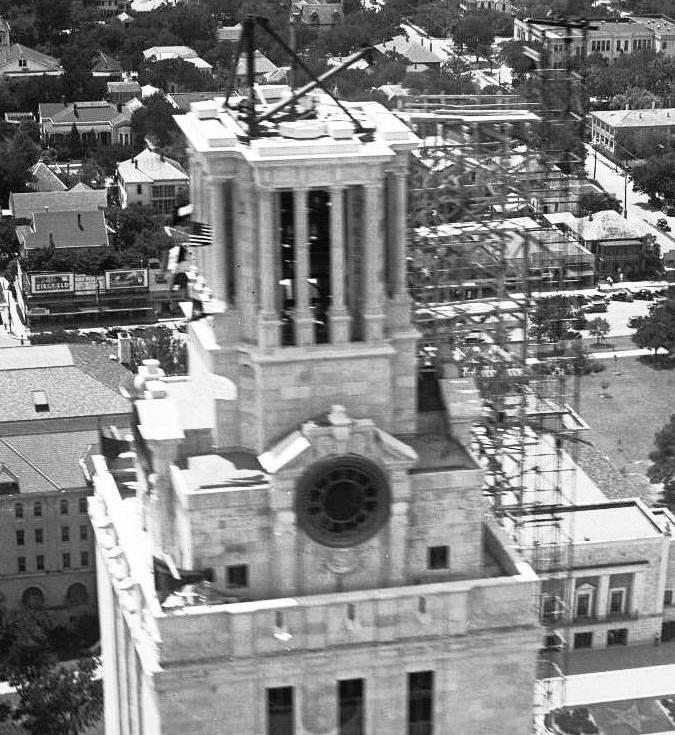 Above: End of an era for the UT Tower clock? Full details here. You are SO BAD, Jim Nicar!! !